Romantic and slightly far-fetched sounding descriptions aside, the Super Falcon has a lot going for it. 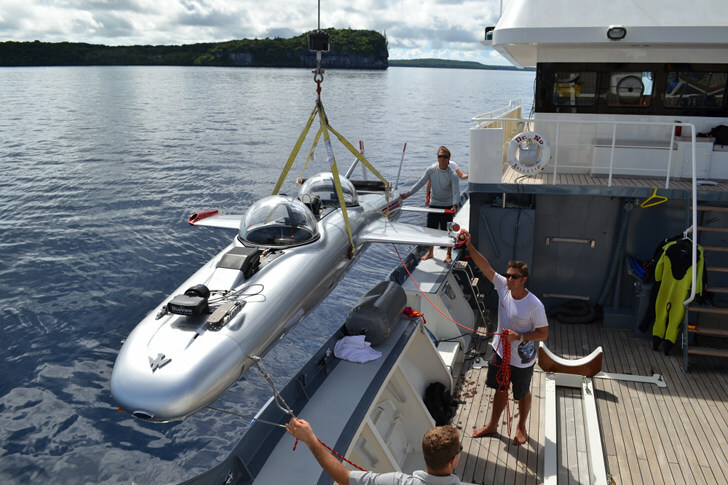 The company prides itself on a design that is radically different to existing submersibles—both in its engineering and in user experience. And in addition to claims about barrel-rolls with dolphins, the clear domes that encase passengers allow those aboard to become closely connected to their underwater surroundings. As for its engineering, the Super Falcon differs from your standard submarine in a few key ways. It maintains “positive buoyancy” at all times—this means that a downward lift sends it to the depths of the sea and keeps it moving, but if one is to experience mechanical failure or strike a reef, say, its autoreturn will send it back up to the surface. Should that fail, it features support for travelers to survive for 24 hours. The craft is powered by DC thrusters, and is equipped with a lithium ion battery that will power the Super Falcon for eight hours. The system makes the vehicle not only safer for sea life, but also safer around swimmers. The former being a good thing for all of us, and the latter a good thing for a vehicle which will very likely start to appear at higher-end tourist resorts. If it sounds a little like something from a James Bond movie, that’s little coincidence—previous creations by Hawkes have indeed served as props for the 007 franchise. And just as with any good Bond gadget, the Super Falcon is very much a plaything of the one percent. For those whose private yachts are purchased for sums in the eight-digits, the $1.7 million underwater plane is a must-have accessory. Marine engineer Graham Hawkes spent his life designing submersibles for both the military and the oil and gas industry before he happened upon the idea of creating a vehicle that could 'fly' underwater. 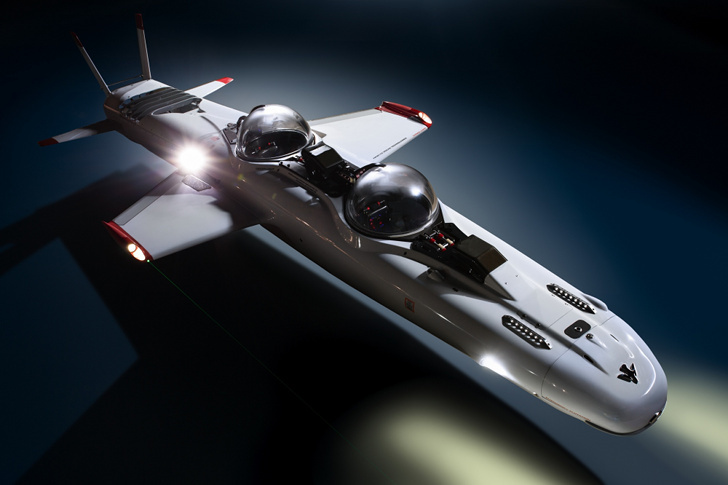 The resulting two-seater electric underwater plane—the DeepFlight Super Falcon—promises to move through the seas in "style, safety, and comfort," providing unique experiences in a craft that is "[d]esigned to do barrel rolls with dolphins and spy-hop with whales."